Register before April 30 for maximum super early bird savings of $200. Use the PREXTEAM code anytime to apply an additional 20% discount if you register two or more. More important, however, is the incredible brain power you’ll tap into by attending this sixth annual conference. So, bring your entire team for three days of strategic insights, quality networking and one-of-a-kind education. 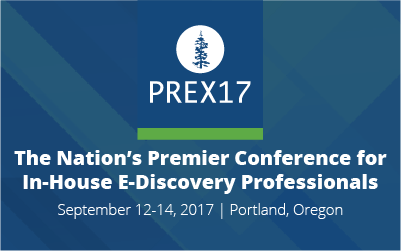 We look forward to welcoming you in Portland this September. Act now for super early bird pricing — $200 off registration! Increase your savings by registering your team using promo code: PREXTEAM. CLE credit available.